Felt like "more stories of Marc Vernon". Only after reaching 2/3 of the book I stopped skipping chapters whole. This book is a vast disappointment. It appears the author has exhausted his fire after the first two commonwealth series. Hamilton is a consummate storyteller who knows how to develop characters better than most writers. His themes and ideas are well crafted and dramatically hypnotic at best. I missed at least one subway stop while reading this book and hope to read his other work somewhere better. 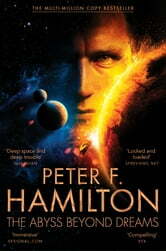 The umiverse of Peter Hamilton produces another expansive blockbuster instalment. Buckle up for a cosmic ride!